We, in the land of fresh mountain air and salty sea breezes, LOVE OUR JAVA. And apparently it is no longer a club secret. 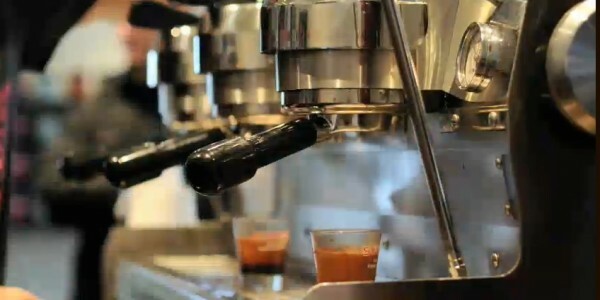 Recently smartertravel.com named Vancouver as one of the world’s top 10 best cities for coffee. With the sophistication of our beautiful, world-class city has come a revolution in what we expect from our coffee experiences. Appeal is not determined by brew alone. 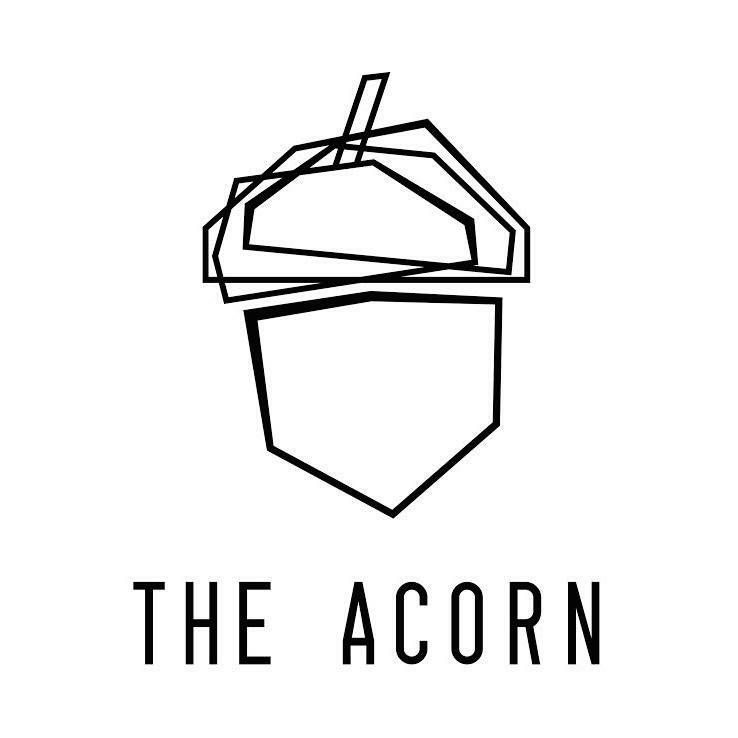 True coffee culture aficionados seek decor & design, ambiance, ethical sourcing, unique brewing techniques, quality baked goods, and of course basics like cleanliness and good service. The following exclusive selections include ONLY spots that hit the mark high in each category. Artigiano and JJ Bean are also solid options for great coffee, but aren’t listed below because of their vast number of locations. View Artigiano’s locations here, and JJ’s here. 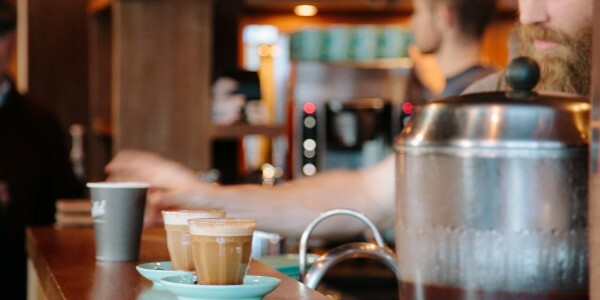 With so many java options at our fingertips, here’s a list of downtown Vancouver's very best coffee shops. It's tough to find great food and coffee under the same roof in Vancouver's downtown core, unless you're at Nemesis, the newest coffee house and kitchen in town. 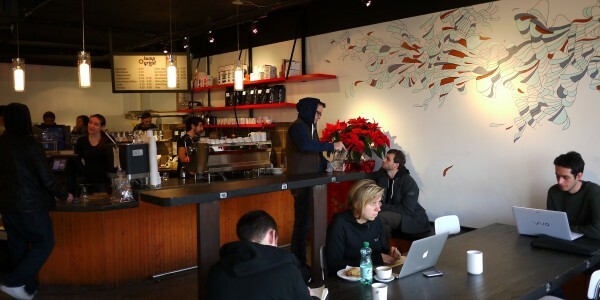 This bright, 40-seater space is run by a passionate young crew of espresso lovers, seven of them to be exact. Their beans are sourced from high-ranking roasters around the world and they make almond milk in-house. Vegan food options are slim, but the muesli (made with cashew milk) is seriously on point. 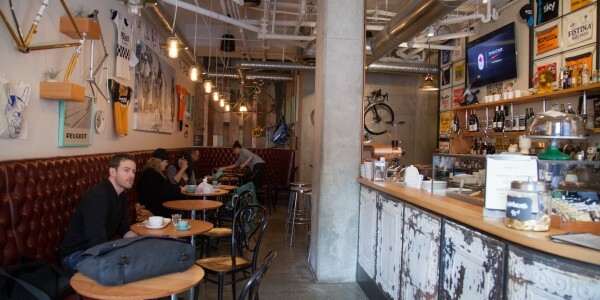 Nemesis is as close to a Melbourne-style cafe as they get here in Vancouver. 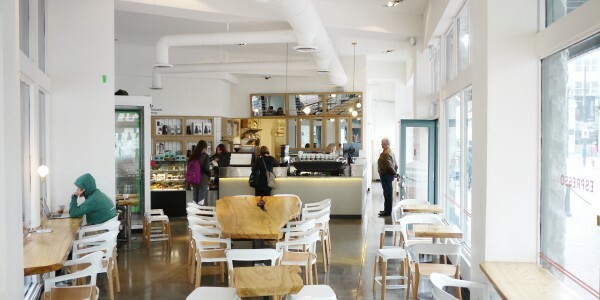 Elysian's newest location at Burrard and Helmcken offers their usual award-winning espresso, Nuez Almond Cashew milk (for arguably the best dairy-free latte in the city), house-made baking and neutral-toned minimalist decor. A small brunch menu is an added offering, featuring avocado toast plus your choice of toppings. 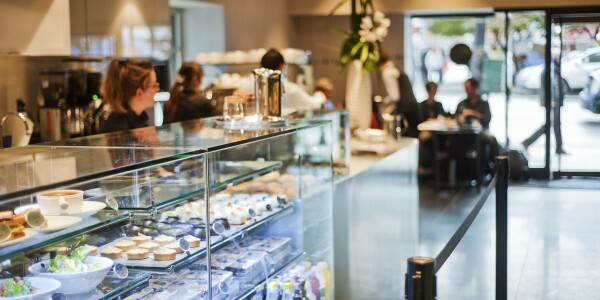 The sister cafe to Hawksworth Restaurant (named after Chef David's wife Annabel), Bel Cafe serves 49th parallel espresso, house-baked pastries (croissants, Valrhona cookies etc.) and gourmet sandwiches (try the Roasted Eggplant with spiced chickpea, almond and gouda) and more. Full table service is in effect, alongside a slew of to-go items. Thierry is best known for their fine French pastries, but expert baristas and an organic, fair trade espresso blend, designed by Casa del Caffe’s Vincent Gentile, ensure consistently good coffee, too. Their beans are dry roasted to ensure freshness and a unique taste profile that’s strong and smooth with hints of chocolate, cinnamon and spice. 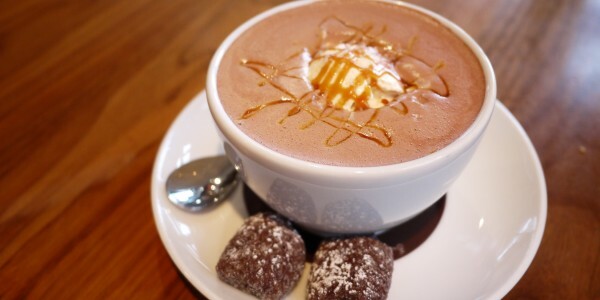 Late night coffee drinkers will appreciate Thierry’s close time of 12am, and spiked drinks are available, too. 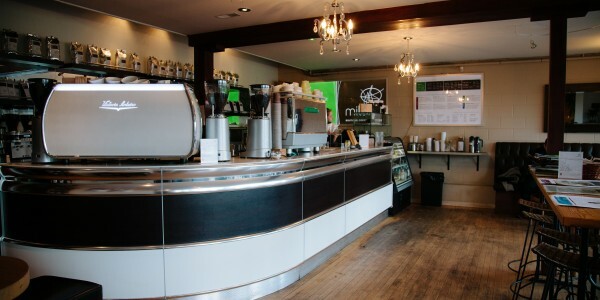 Consistently great espresso is one Cafe Medina’s secrets to success. With a coffee bar dedicated to lattes, waffles, and a to-go counter, skip the 20-person queue for quick access to caffeine. A top-of-the-line La Marzocco FB/80 can be credited for their perfect 49th Parallel coffees, as can their talented, coffee-obsessed baristas. Owner Robbie Kane says ultra-frequent bean deliveries and an “off-gassing” period (so the carbon dioxide can disperse from the beans) is another reason behind their extra special espresso. 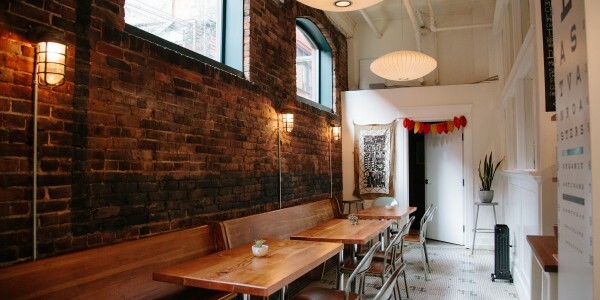 Looking for the best cafes in Gastown, Crosstown or Chinatown? Here’s where you’ll find thoughtfully poured coffee served in well-designed spaces that reflect these funky 'hoods. 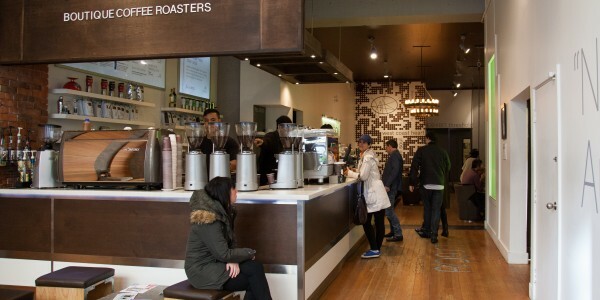 One of Gastown's most popular cafes serving properly pulled 49th Parallel espresso. 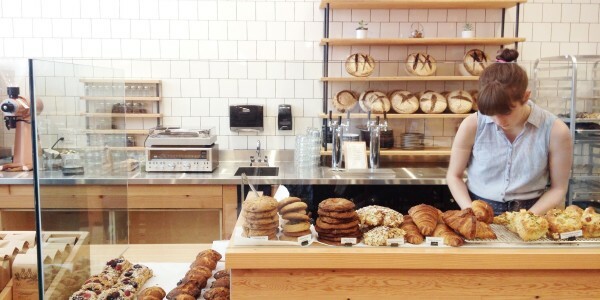 Much of their baking is done in-house daily; other high-end items are sourced locally. Enjoy savouring your latte? You won't be hard-pressed to find a seat here, nor will you feel pressure to free up your spot quickly. And a wide variety of sandwiches, healthy snacks and free wifi mean it's a great spot to lounge all day long. Where Italians go for coffee. 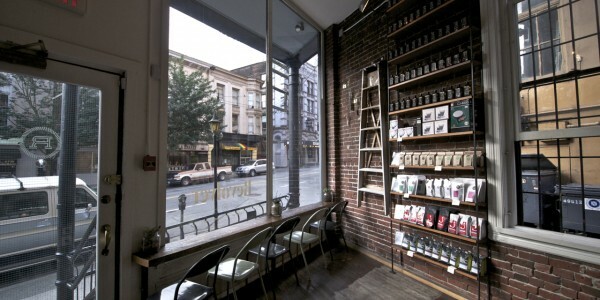 This is Milano's biggest and most stunning location serving master roaster Brian Turko's award-winning Italian espresso. He's a cream-of-the-crop artisan who's been perfecting his craft of blending espresso for decades. 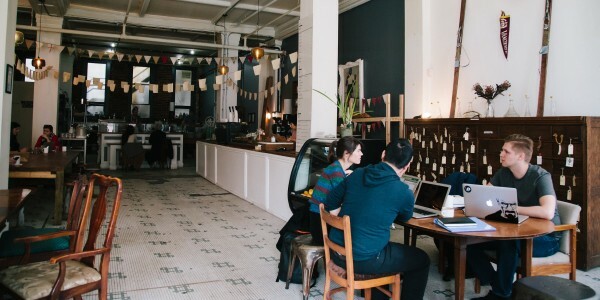 A charming coffee and chocolate cafe with a purpose: to provide training and employment to the female residents of the Downtown Eastside’s Rainer Hotel. One taste of their organic bean-to-bar chocolate and house-roasted beans, however, and you’d guess these were the utmost focus. Choose from drinking chocolate, hand-rolled truffles, single-origin chocolate bars, Faubourg pastries and more. And the space? Totally to die for. Beloved brother-and-sister-run cafe and sandwich shop decorated eclectically with vintage items. Jono and Lee’s huge, funky space is a regular spot to all walks of life who appreciate character. House-made almond mylk and locally-roasted Elysian beans are used to produce deliciously nutty lattes, and toast, croissants and chocolate peanut butter cups are just a handful of your snack options. Light lunch menu available too. A licensed, bike-friendly coffee bar decorated with the cycling memorabilia of owner Thomas Eleizegui. The menu features quality 49th Parallel espresso, lots of pastries, yogurt & granola, soups, a small European beer list and more. The Giannakos brothers love coffee in a mad scientist kind of way. They spend lots of time tweaking, sipping, tasting and evaluating to ensure great tasting coffee every time. Though simple, this coffee program is precise, consistent and always using beans from world class roasters. A venture from three old friends who are passionate about the science of brewing perfection into each cup of coffee. Using their own beans roasted at a separate facility in Langley, Peter, Jeff and Min focus on slow bar brewing with a methodical and measured technique. This meticulous process is their labour of love. 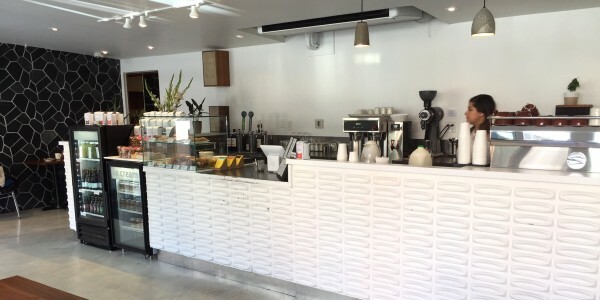 Snack-wise, they serve waffles and par-baked croissants that are finished in their modern, stylish space. Note: seating can be tricky to nab. 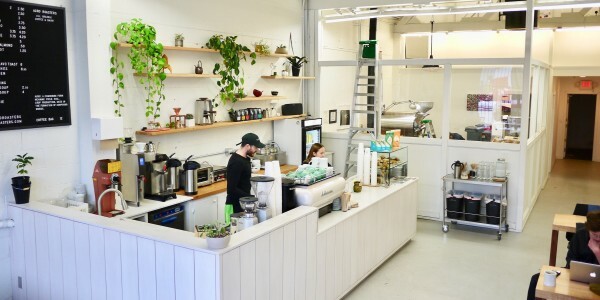 One of Vancouver's favourite local coffee roasters with a stunning space and an admirable goal: "to serve the absolute highest quality coffee that they can imagine." It's less of a focus, but I say their in-house baking is as delicious as their hand-crafted, single-origin coffees. 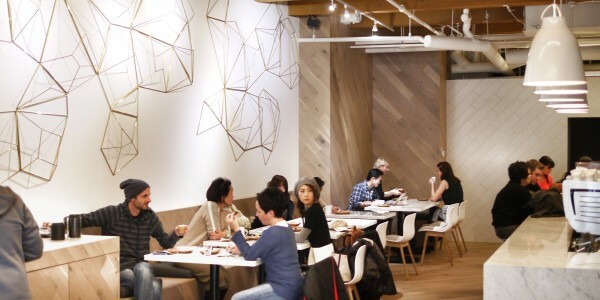 As their cafe is often packed, seats can be hard to snag. 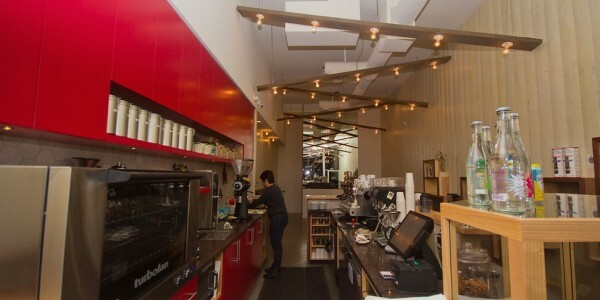 Four-time Canadian barista champion Sammy Piccolo's second Prado location is a go-to for the discerning coffee drinker. To ensure a perfect cup every time, he weighs the dry mass of the freshly ground espresso, times shots and uses an extract mojo refractometer regularly. A Fetco brewer is used for drip and almost all food items are made daily in-house. The gluten-free berry muffin is really decent. 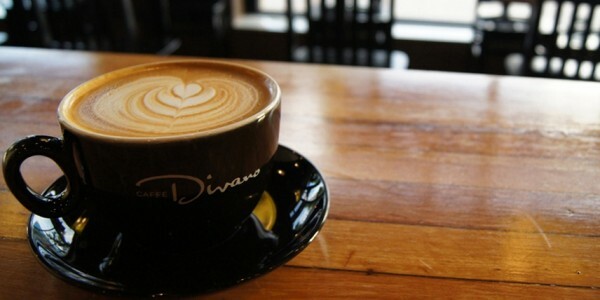 Looking for the best coffee shops on Main Street? This funky area is home to an abundance of cafes, but these three spots outshine the rest with their beautiful spaces and dedication to perfectly crafted espresso beverages. 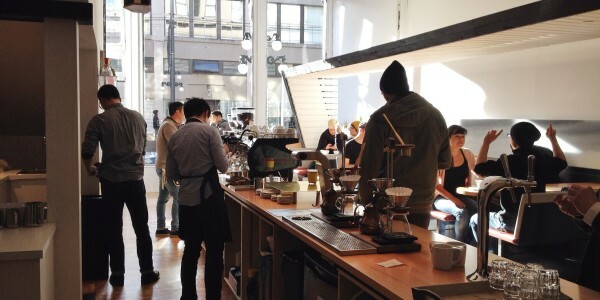 Where "every coffee is meticulously cupped and carefully evaluated. No exceptions". 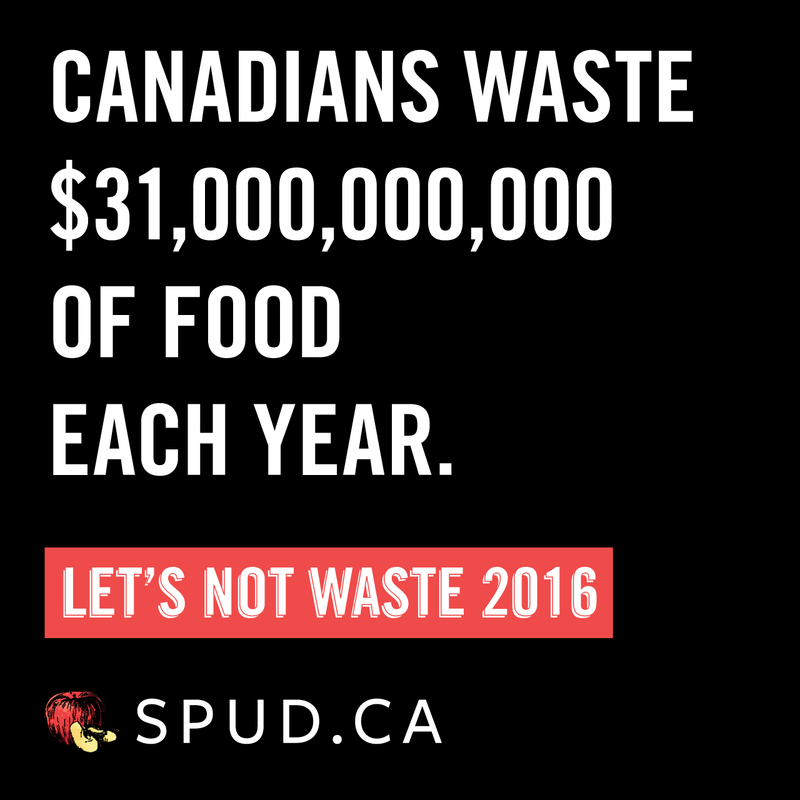 This is 49th's pledge. Vince and Michael Piccolo endeavor to source the world's finest coffee beans and roast them to satisfy discerning palates. With house made, date-sweetened almond milk and dozens of Lucky's Doughnut flavours also on offer, 49th is one of Vancouver's most beloved cafes. Aaron Kafka and his team are serious about coffee and not much else. Three different brew methods are available: pour over, syphon and espresso. 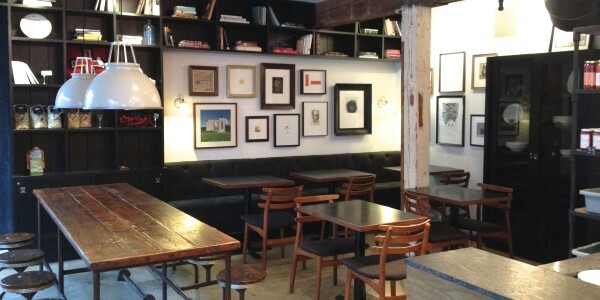 While you sip, enjoy the many art installations gracing the walls. The Martin family loves coffee. They’re absorbed in all aspects of making it, from sourcing, playing with the grind, exploring brewing methods and developing their techniques. Their typical beans are roasted in Victoria by Bows & Arrows and the Hario pour-over coffee is their preferred method (though a full espresso based menu is available). This is their second location, just off Main Street, finished in 100 year old barn wood and hand made flooring. The hipster cafe of all hipster cafes (although new ownership has the place feeling a teensy bit more mainstream). Two of Gene's walls form an acute angle, creating one of the coolest shaped coffee house you've seen. Dogs are welcome inside, chill people hang out here all day long and the coffee is good. 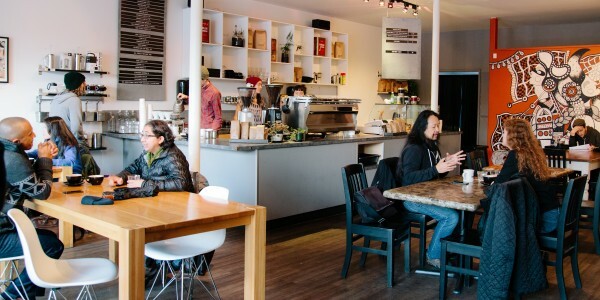 Cambie Village and Mount Pleasant may not be coffee "hot spots" per se, but these joints are sure to satisfy the most discerning of espresso connoisseurs. Run by industry veterans, Caffe Cittadella is a surefire spot for that "perfect rendition" of your drink of choice...every single time. And regulars know this, hence the morning line-up. Gluten-free Eightfold Eats and To Die For loaves are two of the quality baked goods on offer. This is home-base for master roaster Brian Turko, who's been perfecting his craft for decades. He's a cream-of-the-crop coffee artisan who can take up to 12 coffee bean varietals and blend them into world class Italian espresso. With eight different espressos on-tap daily, Milano on 8th Avenue offers a tasting bar experience unlike any other in Vancouver. 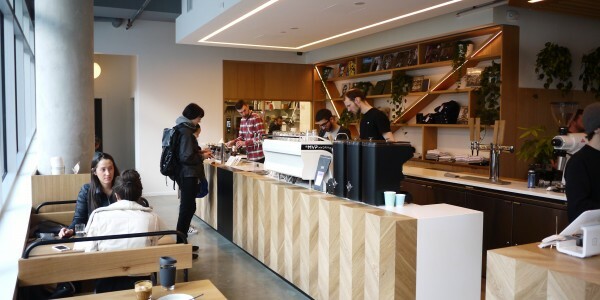 One of Vancouver's favourite local coffee roasters with a stunning space and an admirable goal: "to serve the absolute highest quality coffee that they can imaging." It's less of a focus, but I say their in-house vegan baked goods options are as delicious as their hand-crafted, single-origin coffees. 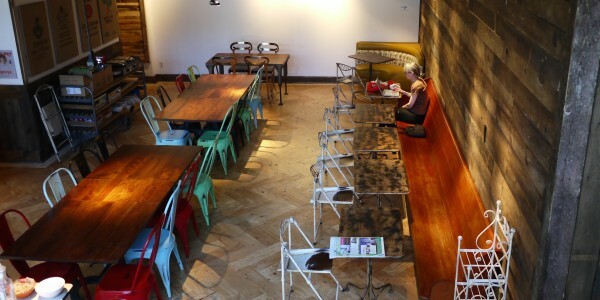 As their cafe is often packed, seats can be hard to snag. 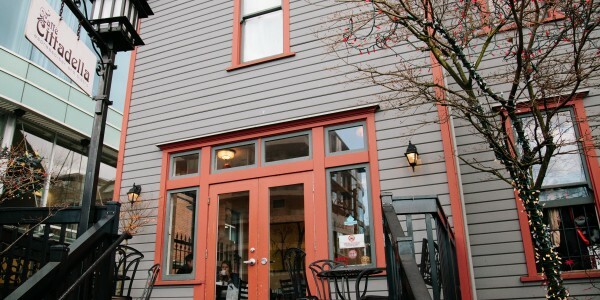 This third cafe location from the folks of Elysian is also home base for their roasting and bakery operations. 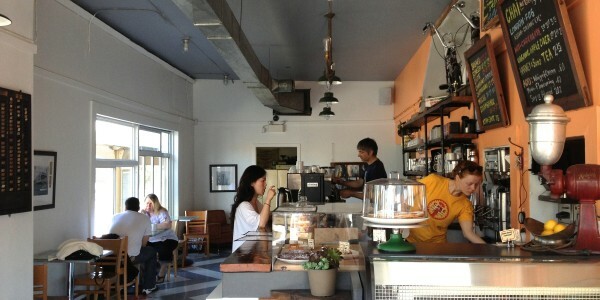 Daily house-made almond milk means these guys make a mean latte served in their absolutely adorable corner store/cafe. 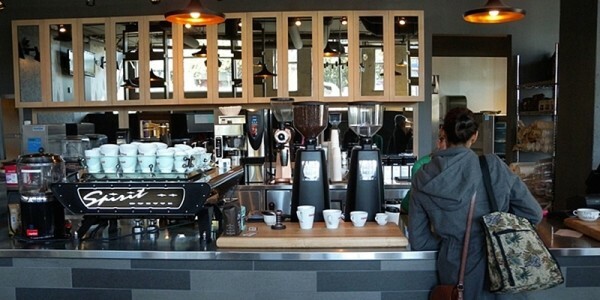 Looking for the best coffee shops in East Vancouver? These cafes aren't only strong in the espresso department, they're beloved by their tight-knit community. Hidden gem of a cafe located off-the-beaten-path on Clark Drive. 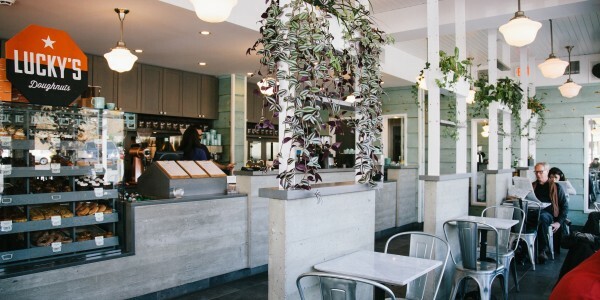 High ceilings, whitewashed concrete floors and tons of light make Agro a dream spot to enjoy a delicious latte made with beans roasted on the spot, by owner Dusty himself. As for snacks, enjoy treats from small 'home-made style' bakeries East Village (gluten free) and To Die For Fine Foods (vegan options). Born in 2014, this industrial-chic roastery cafe is focused on the quality and traceability of their beans. Before adding a new coffee to their line-up, it must pass the taste test through multiple cuppings. A small breakfast menu is available until 12pm on weekdays. It feels great to support local, and even better support a duo as lovely as Eric and Tomo, the community-focused, coffee-connoisseurs behind East Cafe. Tomo does the baking in-house daily (aside from their banana bread, which comes from To Die for) and beans are sourced from West End Roasters. Light lunch options include soup and panini. One-time guest on The Oprah Winfrey Show, this local roaster is the fav of many and found at most grocery stores. 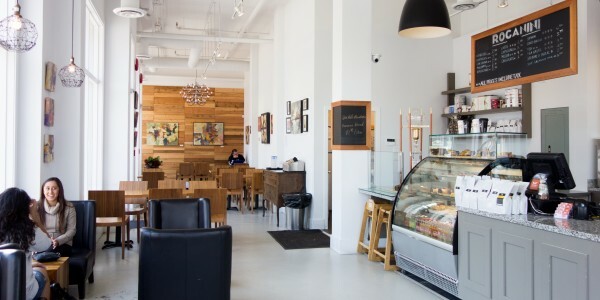 The cafe (tucked away next to Bosa Foods off Boundary) is an coffee and snack oasis, serving La Grotta sandwiches, soup and more on the edge of East Vancouver. The only cafe in town offering coffee cream on tap...on "gold" tap, that is. This sparkly new space is home to a serious coffee program resulting in consistently awesome beverages that are made using a variety of beans from top roasters. 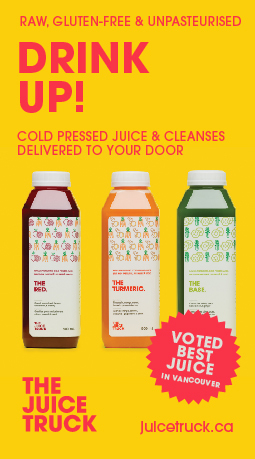 Nuez Nut Mylk is a non-dairy option and cold pressed juice from Nectar is available on tap. 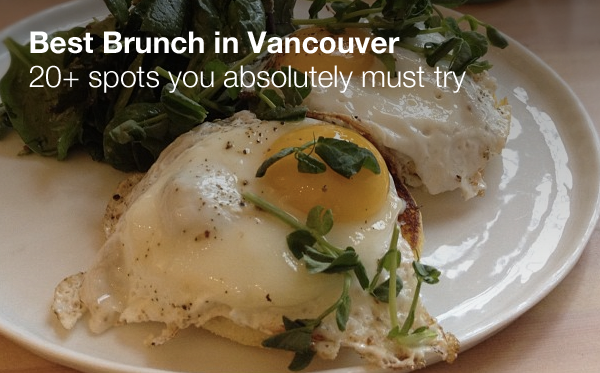 Some of Vancouver’s most famous cafes are found in Kitsilano. 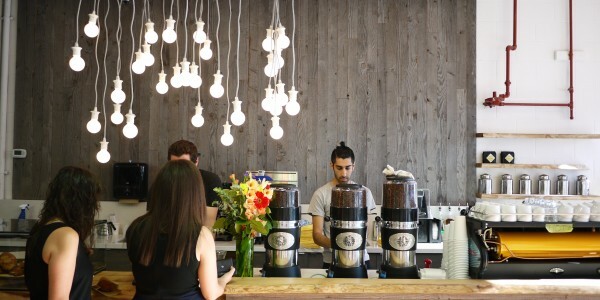 Naturally, the city’s best baristas gravitate to this neighbourhood. 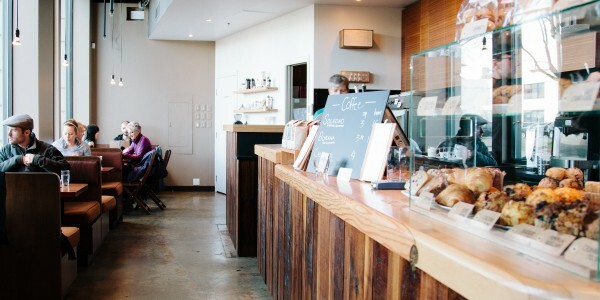 Here are some of the best coffee shops in Vancouver. 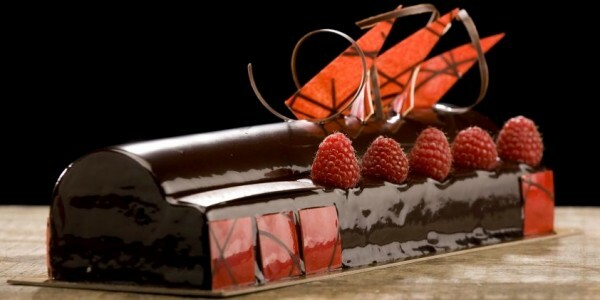 Desserts found here are the work of perfectionists, trained by local pastry chef legend, Thomas Haas. Expect to be blown away -- and to wait in line. The coffee is fantastic but so is their house-made almond milk sweetened with dates. Try a sip by itself -- you may want to buy it by the bottle (which unfortunately isn't available). True experts at their craft. People who know good coffee come here. House made baking is nice, too. Home of The Juice Box Almond Milk latte - heaven in a mug! 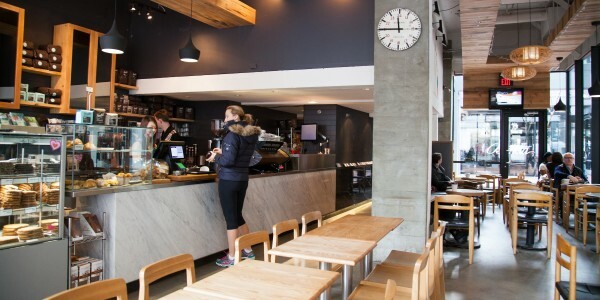 Craving good coffee in the South Granville or Granville Island areas? 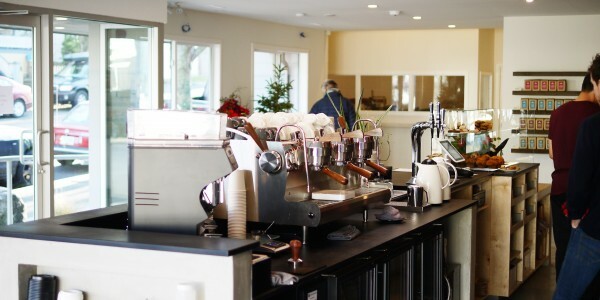 Here's where you'll find the best espresso, poured by the most thoughtful baristas. 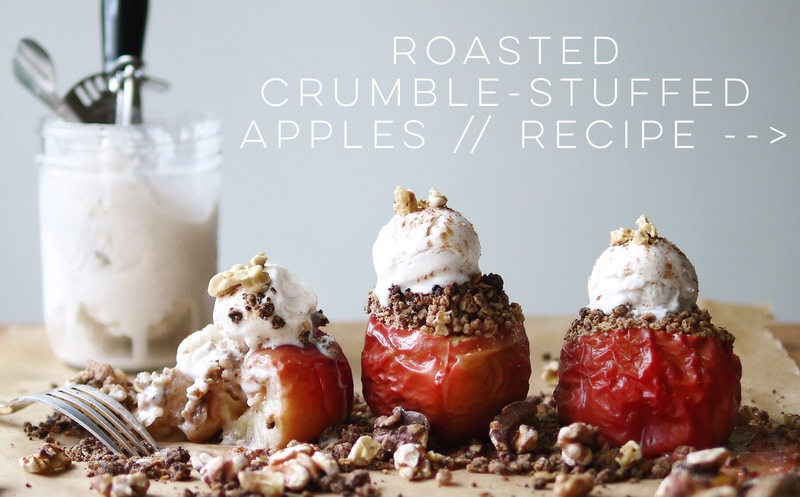 With Jackie Kai Ellis at the helm, you can rest assured her coffee will be perfectly crafted like her desserts. She offers 49th Parallel in an intimate, French setting. 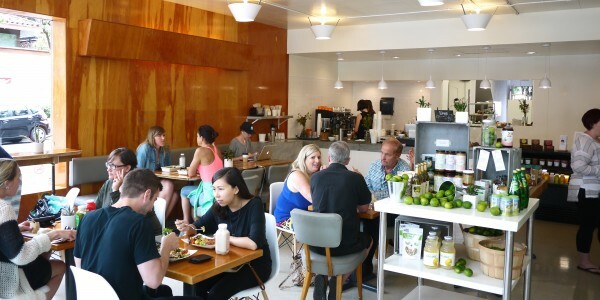 Charming spot serving Intelligentsia Coffee and made-from-scratch soups, salads and sandwiches. 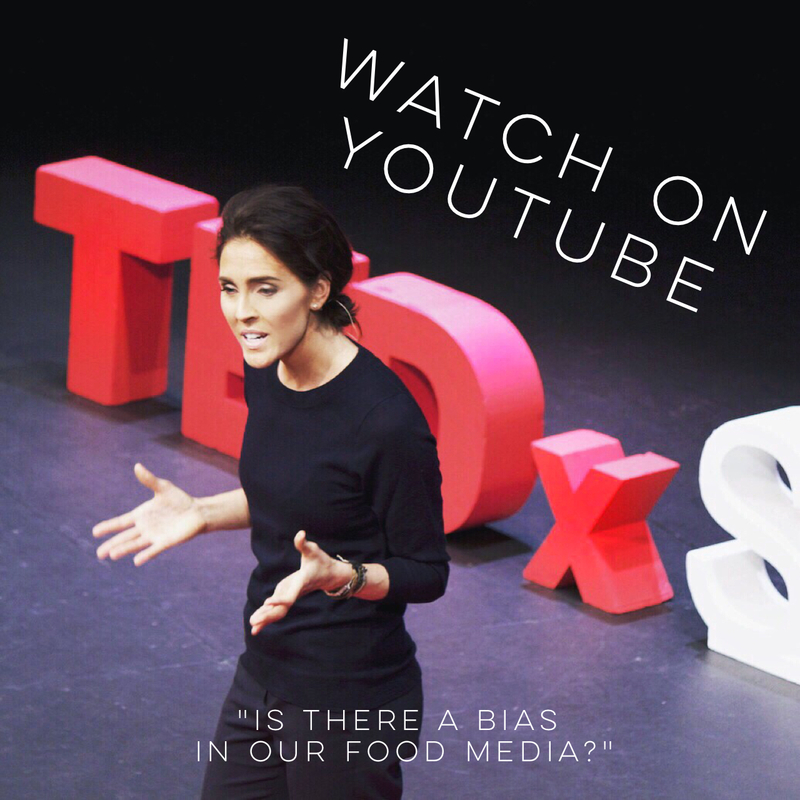 Organic and local is a focus. Eggs are organic, free-range from Maple Hill Farms. 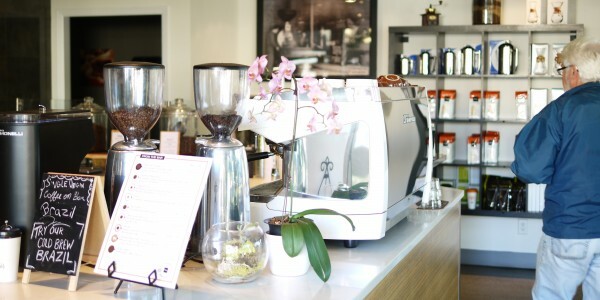 Bump N Grind is an independent coffee shop that uses beans from small roasters. 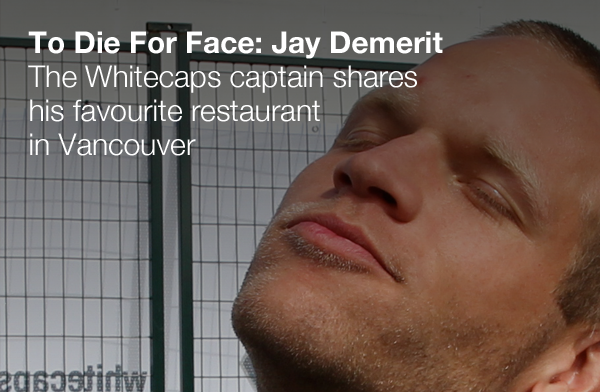 Craving espresso on Commercial Drive? Here's a list of this iconic, coffee-loving street's best cafes. Owned and run by four-time Canadian barista champion, Sammy Piccolo, Prado is a go-to for many discerning coffee drinkers. Here, the dry mass of the freshly ground espresso is weighed, shots are timed and and an extract mojo refractometer is used regularly to ensure espresso shots are perfect. A Fetco brewer is used for drip, which is never over 30 minutes old, and almost all food items served are made daily in-house. 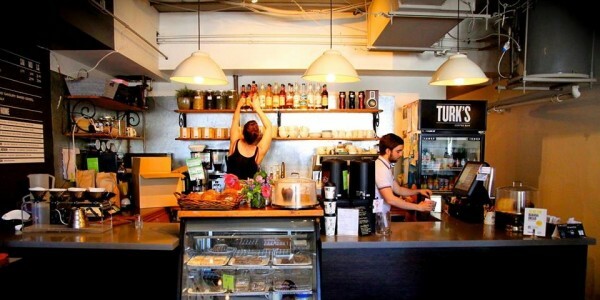 Turks Coffee House was the first Indie Coffee Bar on Commercial Drive. They serve local Milano Coffee. The Milano taste was developed from the skill of the 'torrefazzioni' - a secret method of roasting and blending, handed down from generation to generation. 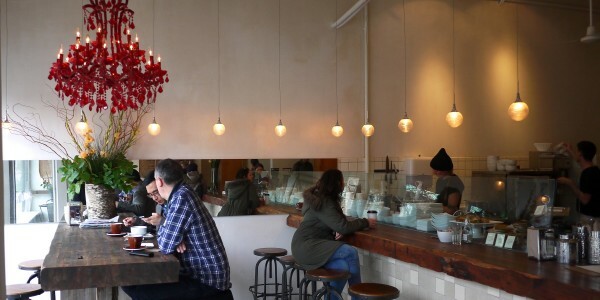 Reminiscent of the soulful, hip cafes of Commercial Drive, this West Ender favourite has you thinking you've ventured far from busy downtown as you sip on artisanally-crafted Moja coffee. Perfection destination for Cappuccino lovers. 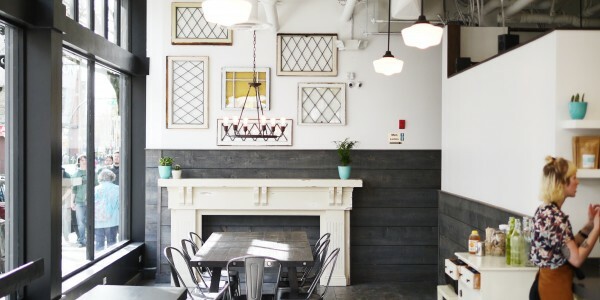 If you're looking for the best coffee shops in North or West Vancouver, head to one of these five glorious cafes and prepare to be delighted. 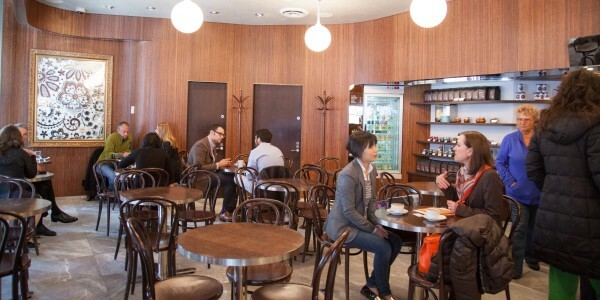 Coffeebar's spacious second location is an ideal work environment with free wifi and plenty of well-lit seating. Thanks to 49th Parallel beans and well-trained baristas, you'll be one happy, caffeinated customer. The Giannakos family loves coffee in a mad scientist kind of way. At their seaside space, they spend lots of time tweaking, sipping, tasting and evaluating to ensure great tasting coffee every time. With six single-origin coffees from three world-class roasters (JJ Bean, Phil & Sebastian and Ecco Caffe), you simply can't not love Crema. Visit their downtown sister location, Revolver, for more of the same good stuff. This is Moja's home-base with a roastery in the back (expect that knee-weakening "fresh espresso' aroma) and a small cafe front. Since opening, this independently-owned roastery has made waves, earning themselves a reputation as one of the city's top roasters. 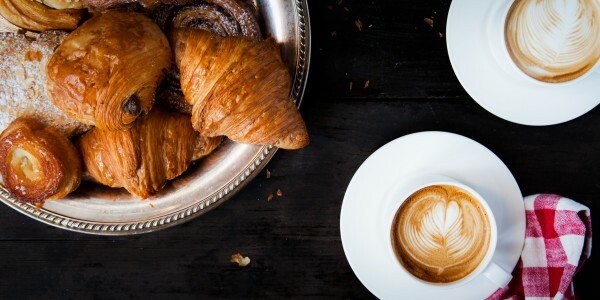 And as the only cafe Thomas Haas will wholesale his famous croissants to, Moja's quality obviously extends to their baked goods selection, too. Despite being off-the-beaten-path, this tiny bakery cafe is packed just about every hour of every day they're open -- and expectedly so with a pastry chef like Thomas Haas at the helm. Try a double baked almond croissant with a smooth Moja latte. Heaven. 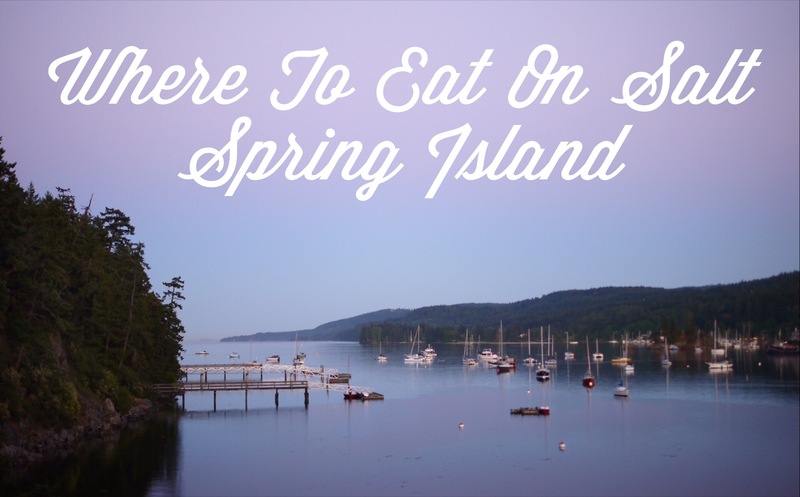 Finally a truly excellent cafe and patisserie for West Van. 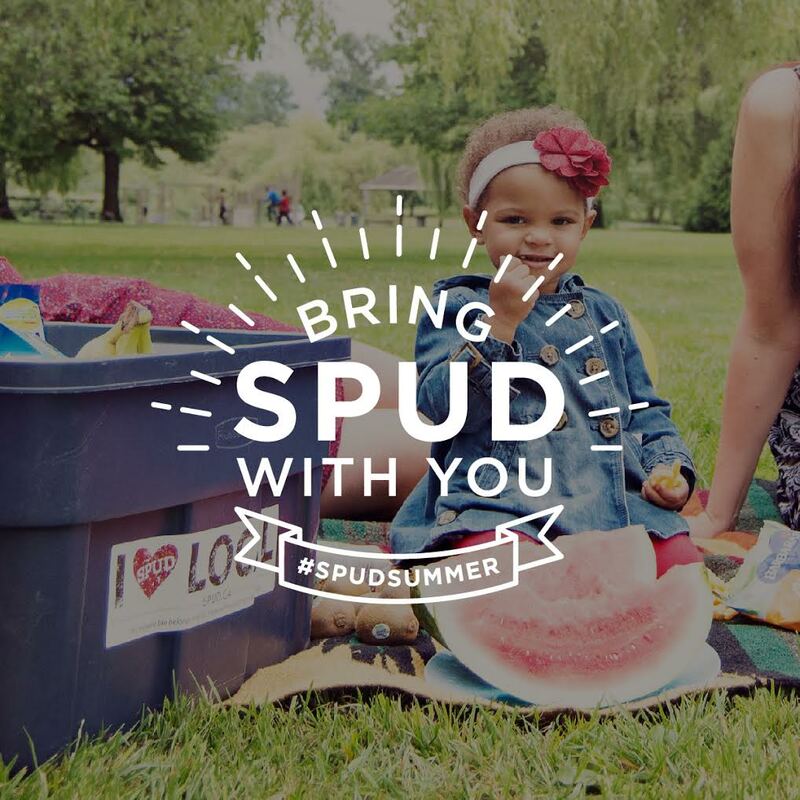 With a patio out front, this is Dundarave's summer hot spot. 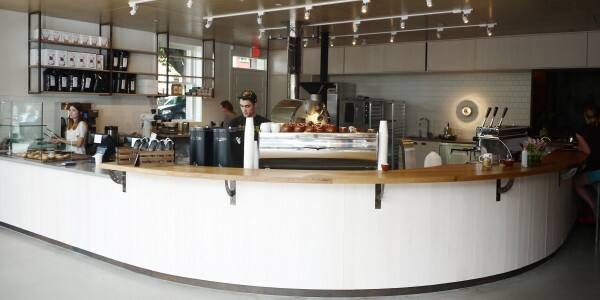 Serving Stumptown Coffee and Pastry Chef Steven Hodge's high-quality creations, Temper is easily one of the city's most delicious cafe-style destinations. 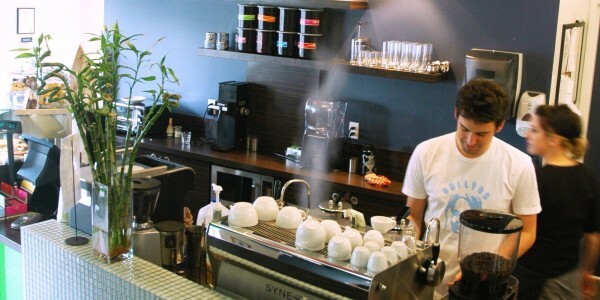 On the hunt for Burnaby's best coffee? These cafes on the Hastings strip will certainly fit the bill. 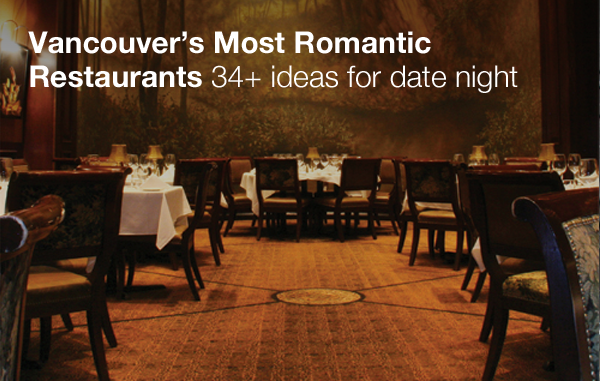 Residents of Burnaby rejoiced when Artigiano opened its doors on the Hastings strip. This trusted local coffee company sources beans for quality and character from reputable, unique farms around the world, and when roasting, impeccable attention is focused on achieving smoothness, acidity, complexity and sweetness. 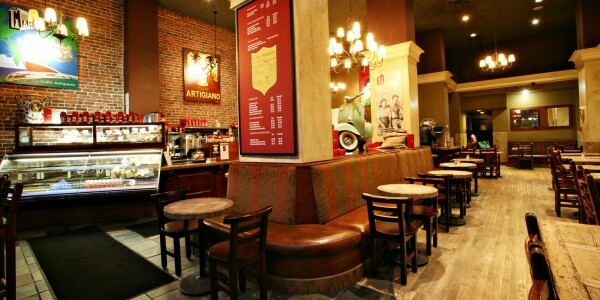 Above all, Artigiano’s goal is to serve coffees seasonally to boast their freshness. 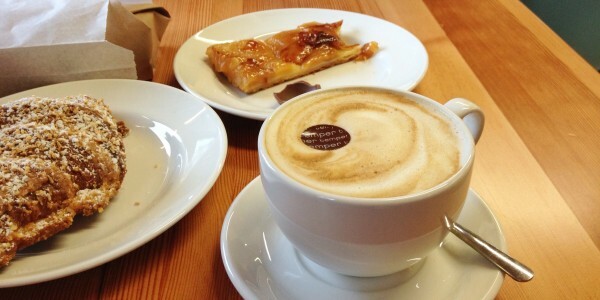 Local, independent cafe serving artisan coffee & fresh baked goods. 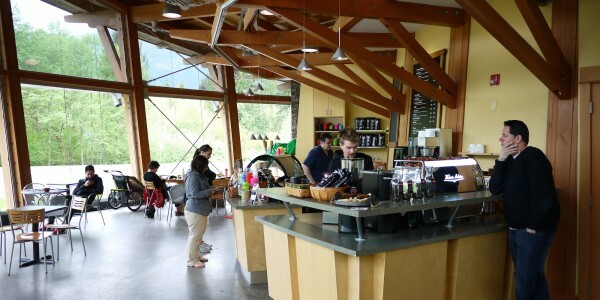 Within the Squamish Adventure Center, Caffe Garibaldi is an oasis for expertly-poured lattes (made with Moja Coffee beans), well-sourced baked goods (from To Die For and Faubourg) and gelato. Whether you're en route to Whistler or simply craving a relaxing morning breathing in crisp mountain air, spacious Garibaldi is an ideal spot. 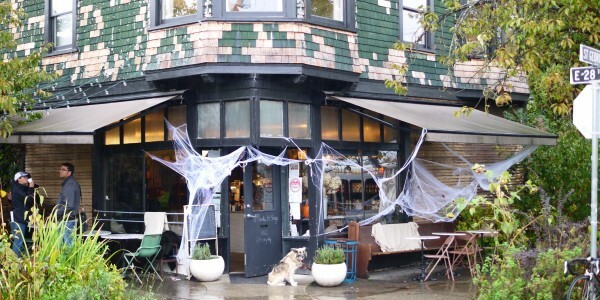 Arguably Vancouver's most beloved independent cafe and general store owned and run by the talented Larsen family. Other than strong coffee, fresh-made crepes and well-sourced pastries, this French-inspired coffee shop sells a small selection of Janaki Larsen ceramics, textiles, locally-made edibles and more. Marble tables, dried hydrangeas and all the little details make Le Marche the most photogenic cafe in town.